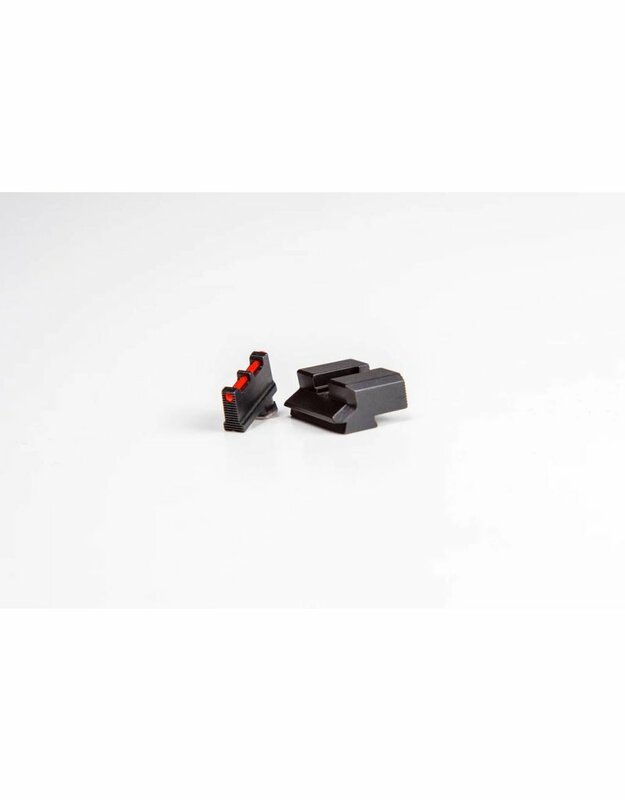 The Overwatch Precision HAVE BLUE Sight set for your Glock handgun is a combat optimized sight set designed to provide a fast, clean sight picture. The all black 0.130" square-bottomed rear notch and 0.100" wide fiber optic front sight work in concert, giving you blazing fast sight acquisition without sacrificing precision for small targets or longer engagement ranges. The serrated rear of both front and rear sights minimizes glare, and the edges of the rear sight aren't so sharp as to eat the skin off of your body while concealing your handgun. The most distinctive feature of the HAVE BLUE is the rear sight's aggressively angled front ledge, which provides for one-handed manipulations without tearing up your hands after a high round count class. With aesthetics inspired by one of our favorite airframes, HAVE BLUE sets the standard for durability, rapid acquisition, and usefulness for one-handed manipulations, all with stunning good looks.